The Downers Grove Police Department is scheduled for an on-site assessment as part of a program to achieve re-accreditation by verifying it meets professional standards. 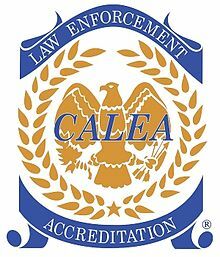 Administered by the Commission on Accreditation for Law Enforcement Agencies, Inc. (CALEA) the accreditation program requires agencies to comply with the state-of-the-art standards in four basic areas: policy and procedures, administration, operations, and support services. Agency employees and the public are invited to offer comments by calling (630) 434-5624 on Monday, November 6, 2017 from 2:00 p.m. to 4:00 p.m. Comments will be taken by the Assessment Team representing CALEA. As part of the on-site assessment, agency employees and members of the community are invited to offer comments at the public information session on Monday, November 6, 2017 at 6:00 p.m. The session will be conducted at the Downers Grove Fire Department - Station #2 located at 5420 Main Street. Telephone comments as well as appearances at the public information session are limited to 10 minutes and must address the agency's ability to comply with CALEA standards. A copy of the standards is available at the Downers Grove Police Department by contacting Accreditation Manager Marion Heintz at 630.434.5606.